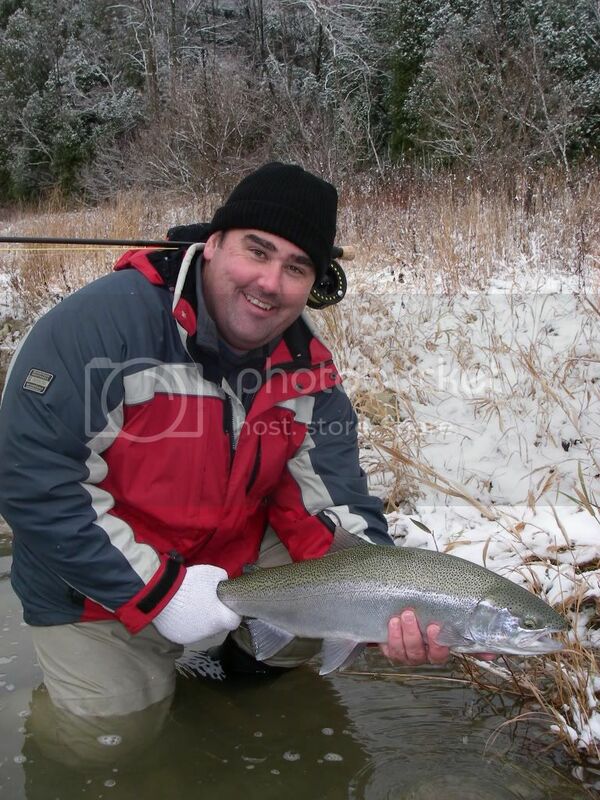 I was trying to find my fishing photos, but I'm coming up empty-handed. Hmmm, Sith young, he is. Then you might recognize this fish. I caught him on a saltwater rattletrap at Sebastian Inlet. That is my nephew Anthony on the right. i miss it so much .. moved to illinois ..
Is fishing illegal in IL? Seems you should be able to find a freshwater lake or pond or even a stream around you somewhere. I bet if you gave me a zip code I could find water to drown a minnow within 20 minutes of your house. I'll bet a beer on it. We have a tackle store down by Bennett Spring in Missouri. We have a lot of customers from Illinois come here. There's a lot of good fishing in Missouri, depending on what you like to fish for. 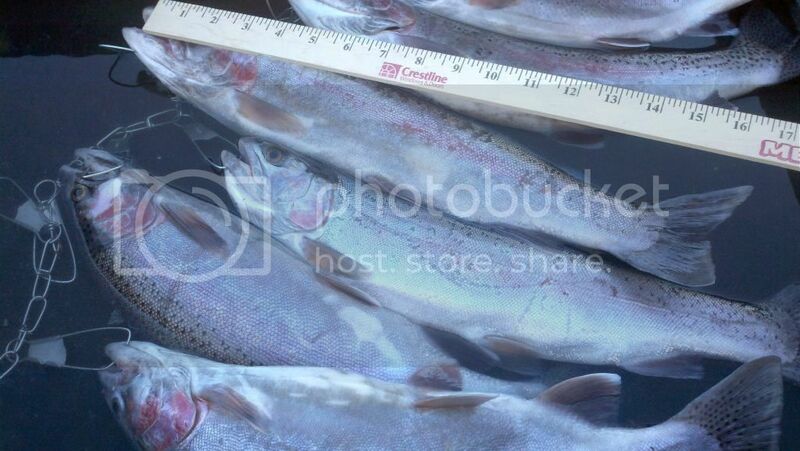 We do probably 99% of business with trout, but there is good bass and crappie fishing around too. 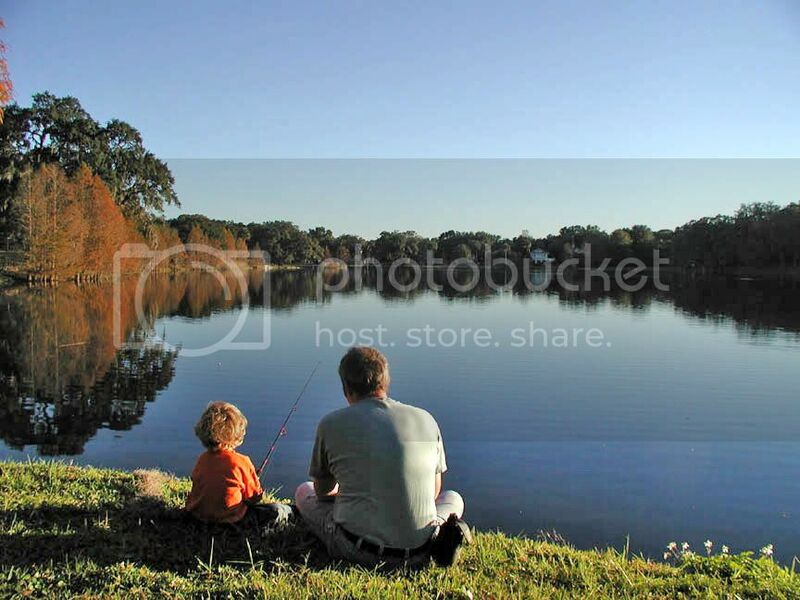 A photo of my son and me fishing on Lake Cherokee in Orlando the last day of 2002. He was three. We start young in my family. Lake Cherokee was also the location of my first brewery, circa 1989.
mostly caught a lot of channel cat at the inlet, loved going in to the canals and taking some trout. 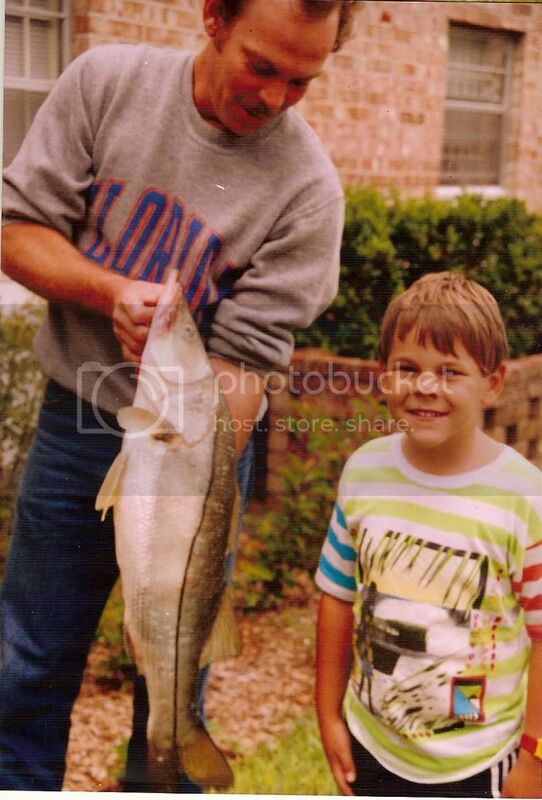 I used to fish a lot. Did a good bit of fly fishing too. Then one day I realized I f##king hate fishing, so I quit. Been happy ever since. That made me LOL. And very hard, too. when visiting family i occasionally get to fish a bit in between holding the wife's hair so she can vomit over the side. Don't forget catfish in Missouri. The show River Monsters came to The Lake of the Ozarks. Fried catfish with Tabasco, slaw, taters and a Boulevard Pilsner or smoked with a Boulevard Pale Ale...Mmmm. So, what do you go after with those bait minnows?